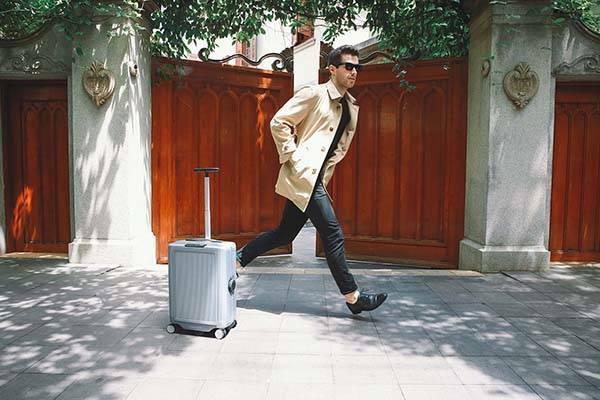 Cowarobot R1, the smart suitcase is designed to make all your travel essentials automatically follow you, so you don’t need to hold the handle all the time. Cool? Let’s continue checking the autonomous suitcase. 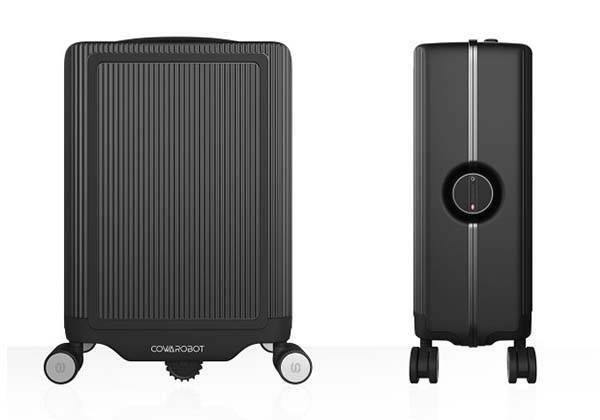 The Cowarobot Ri is an advanced and versatile smart carry-on suitcase that measures 380 x 550 x 200mm and weighs 4.8kg. The suitcase shows off a sleek, modern design along with four optional colors in order to match different senses of style, and it’s constructed of Germany Bayer polycarbonate and supported by an aluminum frame for a strong and durable construction. Using a dedicatedly designed wrist tracker, the Cowarobot R1 is able to autonomously follow you. Just tapping the tracker twice enables it to find its way back to you and the smart suitcase can avoid those obstacles around it. Using two automatically retractable wheels, the autonomous suitcase has the ability to move at 4.5mph and handle slopes up to 15 degrees. When you touch its telescopic handle, the two wheels will be hidden in its body, so you can also pull the luggage yourself. 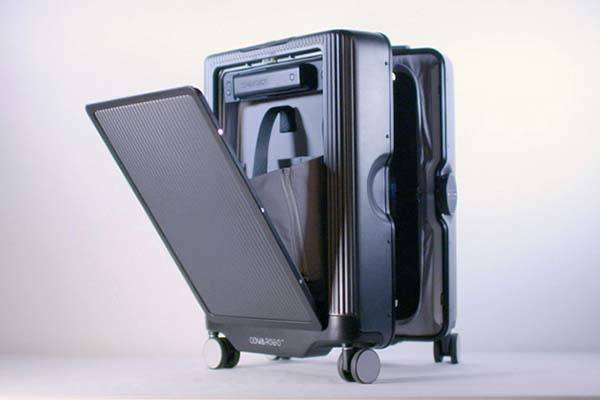 As a suitcase, Cowarobot R1 features a large storage compartment with customized organizing accessories for your numerous travel essentials, and an easy access front storage compartment holds your laptop, tablet and important documents, while its integrated TSA approved smart lock keeps your valuables securely in place. Moreover, onboard GPS locator allows you to track the position of your Cowarobot R1 with your smartphone, a detachable power bank has been ready to charge your mobile devices. Cowarobot R1 has been available for preorder via Indiegogo. You can pledge $429 to own the smart suitcase. It will be shipped in October this year. Additionally, don’t miss the rideable carry-on luggage and more cool gadgets by following tags.